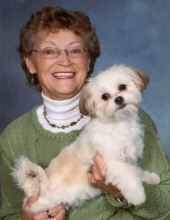 (Nee Munes) formerly of Cedarburg, passed away peacefully at The Pavillion at Glacier Park in Slinger on Monday, February 4, 2019 at the age of 76. Carolyn was born in Port Washington, WI on October 16, 1942 the daughter of Carl and Olga (Nee Hanson) Munes. Carolyn was a member of St. Joseph’s Catholic Church in Grafton, The Silent Singer and the Ginger Bread House of West Bend. Carolyn was very active in ministering to the deaf through sign language. Carolyn enjoyed gardening from sun up to sun down, traveling, downhill skiing, fishing, eating popcorn while playing games, camping, hiking swimming, boating, skating, attending all of the baseball and basketball games, cub scouts, webelos and boy scouts. Carolyn is survived by her three sons: Peter (Kathy) Langlois, Steven (Karen) Langlois and Andrew (Amy) Langlois; sister: Mary Lou Munes; grandchildren: Elias, Amos, Isaiah, Silas, Titus, Keziah, Ezra, Hanna, Apphia, Joe, Jordan and Paige; and nine great grandchildren. Carolyn was preceded in death by her grandson Jacob Langlois and her sister Helen Kassens. A Memorial service will be held on Friday, February 8, 2019 – 5:00 PM at St. Joseph’s Catholic Church 1619 Washington St. Grafton. Family will receive friends at the church from 3:00 PM – 4:45 PM. Memorials to Los Toros Foundation appreciated. To send flowers or a remembrance gift to the family of Carolyn A. Langlois, please visit our Tribute Store. "Email Address" would like to share the life celebration of Carolyn A. Langlois. Click on the "link" to go to share a favorite memory or leave a condolence message for the family.